Whether you are simply bored by the sight of your home or looking to improve the property’s exterior before selling, there are a number of affordable ways to do so. The more complex the project you wish to embark on, the more expensive it will be. However, even on a low budget, you can drastically increase the value of your home through the implementation of several simple renovations. However, if you are looking to make a few simple alterations to the appearance of your home, then we have composed a guide on how to successfully modernise house exterior whilst on a budget. Before you commit to making any alterations to your home’s exterior, it is a good idea to set out your budget. 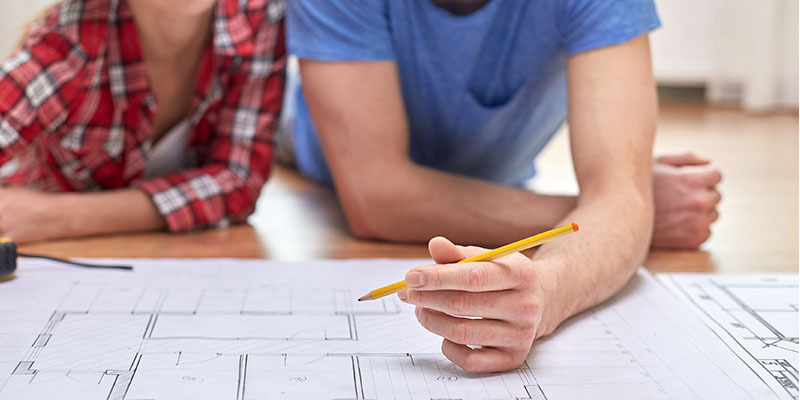 By setting an initial budget, you can then stick to it throughout the renovation process and avoid unnecessarily overspending. A lot of the time we neglect the condition and appearance of our home, focussing mainly on the contents inside. However, from replacing your front door to deep cleaning your window frames, there are a number of tasks you can complete in order to enhance and transform the look of your property. Replacing the exterior doors in your home is a great way of altering your property’s appearance. Start by replacing your main door as this is the most commonly used entrance into your home and will, therefore, have the biggest impact on improving the look of your home. However, other backdoors and patio doors could also be replaced with more modern alternatives. When it comes to deciding on the type of door to choose, make sure to avoid picking the cheapest. They are less likely to last as long or provide effective safety features. You must bear in mind the materials the door has been made from, the manufacturer of the door and it’s security features when making a decision.  If you are looking for bespoke composite doors, then get in touch with Crown Windows today. However, if you are looking for a more affordable alternative, then look into the addition of a uPVC front door. These doors are built to last with strong durability qualities and highly effective security features. If you need further advice on how to choose a new front door, take a read of this article. Ensuring your windows are in good condition will not only help to improve the look of your property, but it will also help them to last longer and preserve their condition. If your property contains uPVC window frames, then these are relatively straightforward to clean. If you are looking for advice on the best way to maintain your uPVC windows, then take a read of this guide which runs through the process step by step. Having wooden windows in your property demands much more time and effort to maintain their appearance and condition. However, these window frames are hugely common in the more traditional looking properties. To make sure you are maintaining your wooden window frames effectively, take a read of a previous article we wrote. Nevertheless, if you think your windows are beyond repair, then it may be time to replace the frames altogether. This is also a good opportunity to have the glass updated. You should consider installing double glazing in Milton Keynes into your home in order to improve the thermal efficiency of your home. This, however, will not be an inexpensive investment. If your driveway is a significant aspect of the appearance of your home, then it is important to ensure it’s in good condition. If there is minimal gravel on the drive or the slabs have worn away, then it is essential to fix this and invest in a professional to repair it for you. In doing so, the entrance to your home will be transformed and enhanced. However, if you do not have a driveway, but have an unused front garden, then it is worth converting this unnecessary space into a useful place to park your car. If the front garden is of a decent size and has largely been unkept, then make the most of the excess space and create a front drive. Creating a smart drive up to your home is one of the most effective ways of improving the look of your property. If there are also large trees that block the view from your downstairs or upstairs windows, then it is worth having them cut back. This will not only improve the amount of natural light in your home but will make sure your property is visible from the road. Cutting back and neatening up overgrown hedges is also an effective way of making your property look more attractive. If you are in need of a hedge trimmer in Milton Keynes, then get in contact with Clayton Brothers for a reliable and professional service. The addition of outdoor lighting is an active way of making your home appear much more inviting, especially during the winter months when it gets darker much earlier on. There is an abundance of outdoor lighting options to choose from; motion sensor lights are highly popular and incredibly useful. Eco-friendly lighting is also becoming more attractive and saves on unnecessary usage of electricity. If you have a porch, then make sure to update the look of it through the addition of attractive lighting. This will help to add character and style to your property’s exterior. Overall, we hope you have found this article to be a useful source of inspiration when it comes to making improvements to your home on a budget. There are a number of ways you can enhance the appearance of your home, both for your own sake and for the benefit of increasing your property’s value. If you have found the contents of this article to be useful, then please feel free to share it on your social media channels.